This holiday season, employees have more to be thankful for than usual. That’s because the job market is in rare form, with far-reaching ripple effects that tend to work to the average employee’s advantage. In July of 2018, the job market set a record with over 7 million total job openings. The next month, we broke the same record again. Reported job openings have been holding above the unprecedented 7 million count ever since. The U.S. Bureau of Labor Statistics has kept track of total job openings since 2000, so this 18-year high surpasses levels from before the last two recessions. There’s also great news in terms of the overall unemployment rate, which has dropped well below pre-recession levels and is now at its lowest since December of 1969. That’s so long ago, the Beatles were still together. Apollo 12 had just returned from the moon with assistance from computers less sophisticated than the average iPhone. A gallon of gas cost 32 cents. Of course, the current unemployment rate of 3.7 percent still means that millions are still unemployed. And despite the record number of available jobs, openings aren’t spread evenly across all industries or areas. These high-level trends don’t benefit everybody directly. But when the general trend goes this far in the direction of more jobs and fewer job seekers, it changes how far employers will go to attract and retain workers. If there are more job openings than applicants, it stands to reason that the average salary will eventually increase. That’s finally starting to happen. 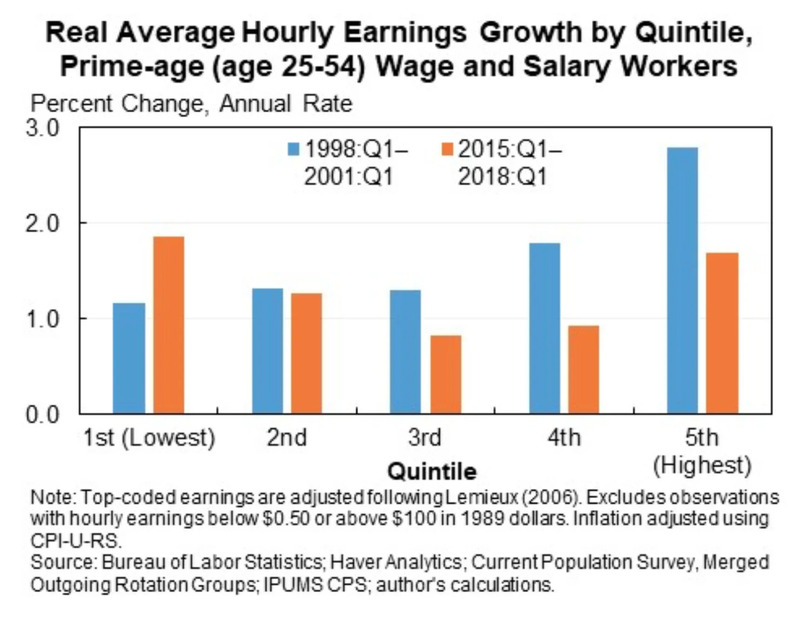 Wage growth recently hit a nine-year high, which is especially good news considering nine years ago was the recession. While this nine-year high isn’t spread evenly across all industries, there’s evidence that recent growth is happening more on the lower end of the wage scale than at the top. Salaries have also increased more than the national average in sectors such as manufacturing, trade and transportation that urgently need skilled workers but don’t often require candidates to have a doctorate-level education. As companies struggle to find workers, it’s a candidate’s job market. Smart companies are adjusting their approach to be more desirable to top-quality job seekers. One of the most common complaints from employers in recent years has been a lack of technical skills (and soft skills too) among available candidates. But requiring candidates to undergo training before starting a new job puts prospective employees in a difficult position, especially considering the rising cost of education. As the job market continues to tighten and available workers become scarcer, employers are increasingly offering more robust on-the-job training. Employers are getting wise to the idea that helping their employees gain new skills not only attracts high-quality applicants with an interest in their own development, but also gives current employees more reason to stay on the job. And it’s not just on-the-job where the training takes place. Perks like tuition reimbursement and college partnerships for technical programs are also becoming more common. The job market is strong, and both employees and candidates, especially those with technical training or experience, are more in control than at any point in recent memory. This means that you have leverage. Take a look at some upcoming labor trends within welding. Our market research team tells us where the jobs are and how to get there.